This Earth Day we are celebrating the small things we can do as individuals that add up to a big impact on the environment. 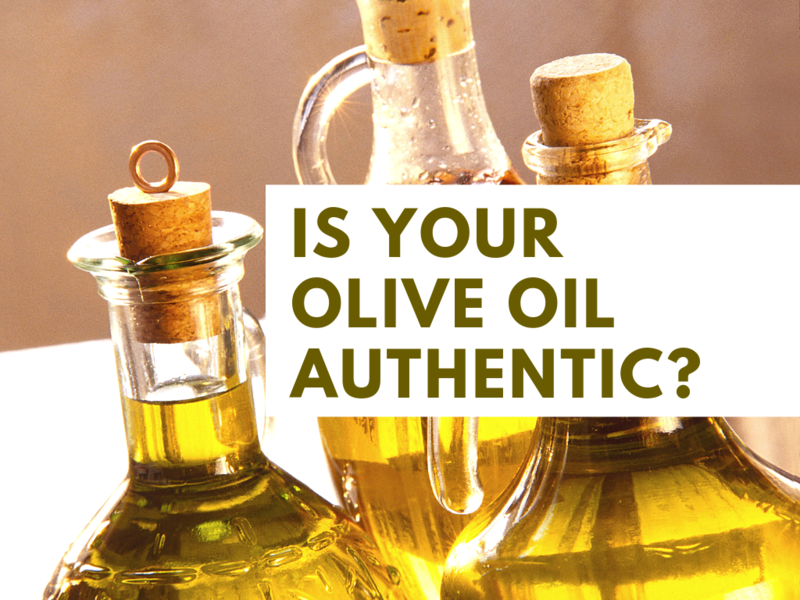 For many of you, that means reusing and refilling your olive oil and vinegar bottles. To encourage the REDUCE, REUSE, RECYCLE mindset, we’re offering 22% off refills at all We Olive locations on Earth Day, which you can get details on below. But there are lots of ways that we can each make an impact in our homes and communities. With that in mind, we’d like to put the spotlight on two We Olive corporate team members who have taken environmental protection into their own hands, or grabbers that is! Charley & Natalie work at our corporate office in San Diego and when they aren’t thinking up new staff training programs or troubleshooting point-of-sale systems, they’re cleaning up their community and inspiring others to follow suit. Noticing that their beloved beach town, popular with both locals and tourists, was plagued by litter, they decided to take action. 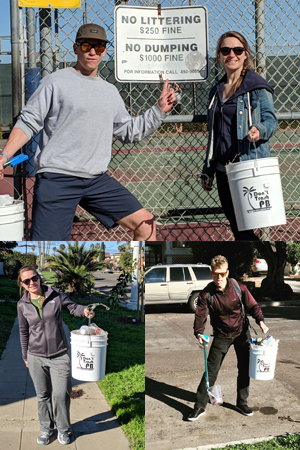 They turned their weekend strolls around Pacific Beach into a mission, armed with buckets and litter grabbers, putting in the elbow grease to keep their neighborhood and beaches free from trash. Their little effort turned into a movement called Don’t Trash PB. They invited others to join the cause by providing free buckets and grabbers to anyone willing to lend a hand. Check out their Instagram to see how they recruit new members and document their efforts. Be prepared to get inspired to make a difference in your community! Don’t Just Recycle, Reuse! 22% Off Refills on Earth Day! Our annual Earth Day Sale is tomorrow! 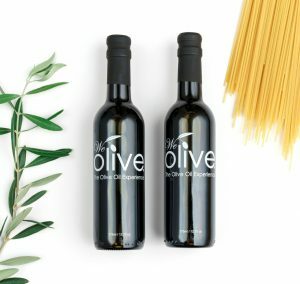 On Monday, April 22nd, bring your reusable, refillable bottles in and save 22% on refills of bulk olive oil and vinegar. Offer valid on refills, in-store only. Offer not valid on new bottle purchases. You’ve probably seen some variation of marinated cheese at the grocery store. It’s typically a soft, fresh cheese like mozzarella, goat cheese or feta, drenched in olive oil, herbs and spices and it is quite tasty. 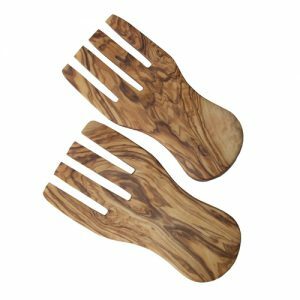 It’s delicious spread on crackers and bread, with crisp, fresh veggies or as a salad or sandwich topper. We’ve even put it on pizza and flatbread and have been known to spoon it directly into our mouths. And as is usually the case, the homemade stuff is even better than what you’ll find at the market. 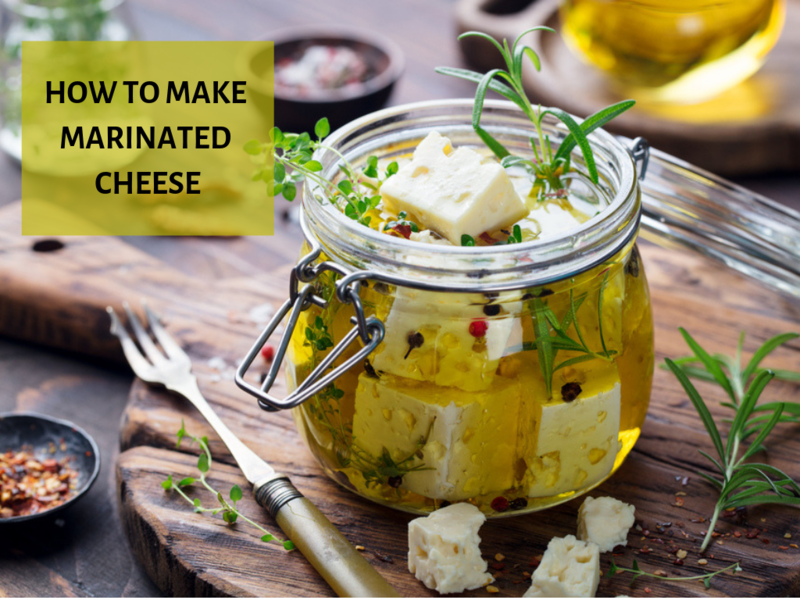 With that in mind, we’ve put together a simple, step-by-step guide to teach you how to make marinated cheese at home. You really want a softer, fresh cheese that will benefit from adding flavorings. Aged, harder cheeses do not work well for this nor do really pungent, robust cheeses. We recommend sticking with a log of fresh goat cheese, a block of good quality feta or fresh mozzarella of any size or shape. You can really get creative with flavors here. You may have some rarely used spices or an abundance of leftover fresh herbs you want to use up. Think about seeds like mustard, cumin, coriander and fennel. Spicy elements like chile flakes and peppercorns. 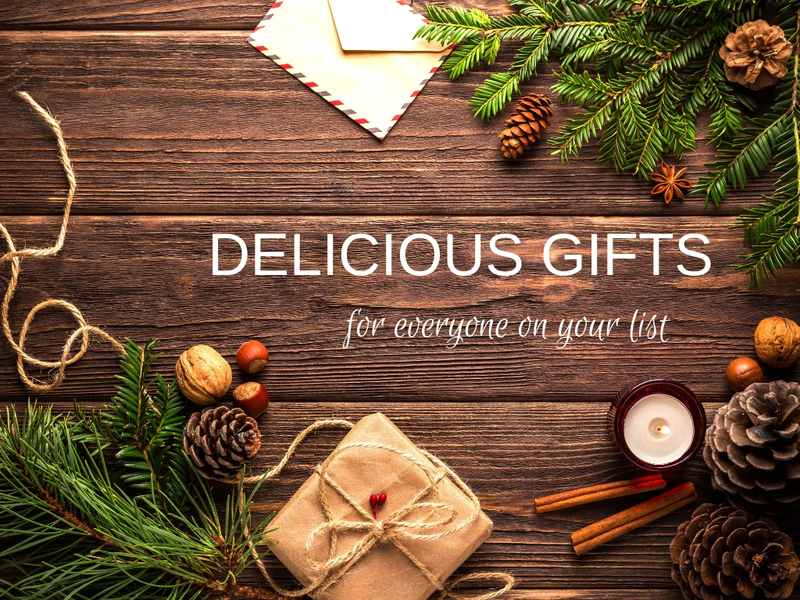 Or more exotic flavors like lavender, star anise or cardamom pods. Any fresh or dried herbs work nicely as well. Consider adding garlic cloves or citrus peel for even more complexity. 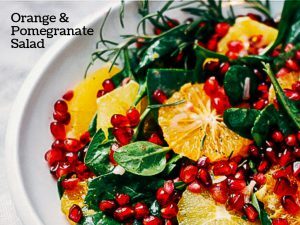 When selecting the olive oil, you may want to go with a robust, peppery extra virgin olive oil and add lots of fresh herbs and some lemon peel. 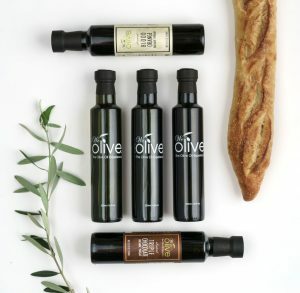 Or you can try a flavored olive oil like our Fresh Garlic or Meyer Lemon…or both! You’ll need enough olive oil to completely cover your cheese, usually a cup or two. 3. Choose the marinating method: quick or slow. If you want to eat the cheese as soon as possible, you’ll want to go with the quick method that involves using heat to release all the flavor from your aromatics. Place everything in a small pot and pour olive oil over top. Note: If you’re using fresh herbs that are delicate like basil, chive and cilantro, add these after you’ve heated the oil. Dried herbs and heartier herbs like rosemary, thyme and oregano can be heated with olive oil. Again, you’ll need enough to cover your chosen cheese, so at least a cup or more. Warm the pot over very low heat for 15 to 20 minutes, until you can really smell all of the aromatics and spices you’ve added. Slice the cheese into rounds or pieces so that more surface area soaks in the oil’s flavor and place them in a container you can seal. We like mason jars but any container with a lid will do. Let the oil cool for a bit before you pour it over the cheese so it doesn’t melt. Pour the oil over the cheese and top with any fresh herbs, if using. If you have the time and want to skip the heating step, you can simply put your cheese, sliced into rounds or pieces in a container and scatter the aromatics and spices over it. 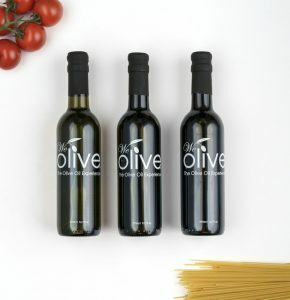 Pour the olive oil on top, cover it and refrigerate it for at least 12 hours to allow the flavors to develop. If you’ve chosen the quick method, you can serve the cheese right away or let it sit in the fridge to develop even more flavor. If you’ve been storing the cheese in the refrigerator, let it come to room temperature before serving so that the flavors will be more pronounced. Keep any leftovers in the oil in the refrigerator for up to five days. And don’t toss the extra oil—there’s rich flavor in there. Toss it with pasta, use it to sauté vegetables, or whisk it into a salad dressing. As if any of us need a reason to eat more carbs, Bread Dipping Oil is here to give you one. When done correctly, a good dipping oil turns a bite of crusty bread into a moment of pure bliss. Crusty, soft and chewy meets rich, silky olive oil dotted with bursts of garlicky herbs and tiny pockets of tangy balsamic. Sign. Us. Up. You don’t have to wait until you’re at an Italian restaurant to enjoy this little indulgence. 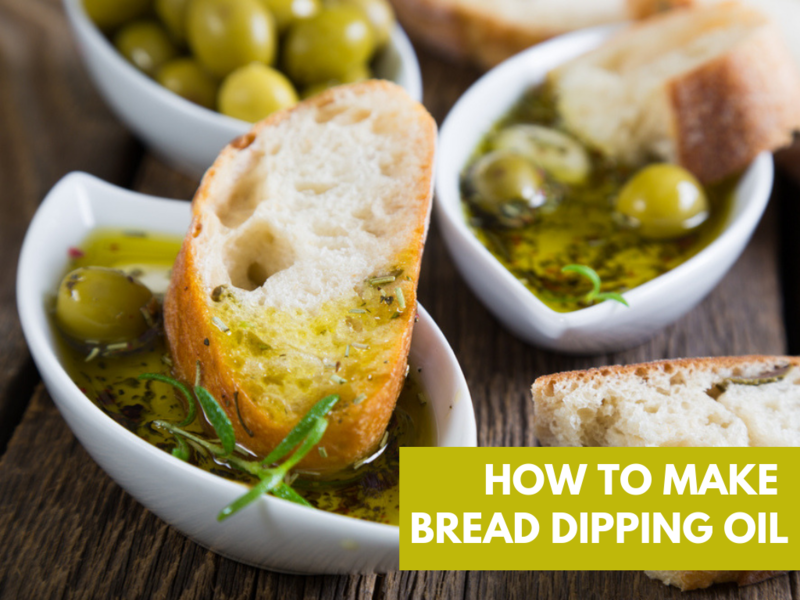 Learn how to make bread dipping oil at home and then also learn how not to eat an entire baguette in one sitting. The two really go hand in hand. 1. 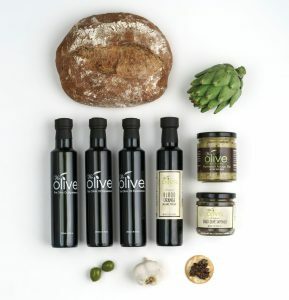 Choose your olive oil. A classic extra virgin olive oil can be seasoned in a multitude of ways, but we also lean heavily on our Fresh Garlic Olive Oil as a dipper because GARLIC. Experiment with delicate, medium and robust EVOO and don’t shy away from flavored olive oils like Jalapeno or Meyer Lemon when you’re feeling adventurous. Our favorite classic bread dipping oil recipe is seasoned simply with garlic and herbs, but you can certainly experiment with flavor combinations. 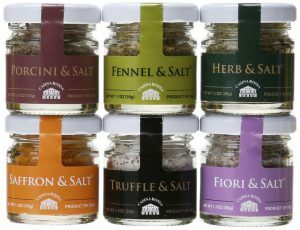 Try both dried and fresh herbs, fresh minced garlic or garlic powder, chile flakes or fresh chiles and even grated cheese like parmesan works nicely. We love balsamic vinegar. Especially our Aged Balsamic Vinegar. We pretty much think it makes everything objectively better. But, there are times where we want the pure olive oil flavor. And there are times where we crave those sweet, tangy bursts that balsamic brings. You decide what kind of mood you’re in. Our top choice for dipping oil is Aged Balsamic Vinegar, but we’ve also been known to experiment with Blackberry Balsamic paired with Fresh Basil Olive Oil and Mission Fig Balsamic drizzled into Blood Orange Olive Oil. You do you. Once you’ve added all of your herbs, spices and extras to your oil, check for seasoning. Finish it off with freshly ground pepper and a good sea salt to taste. 5. Enjoy with a baguette or a rustic Italian loaf. Try not to eat the entire thing by yourself. Or do. We won’t tell. Get our favorite recipe for Bread Dipping Oil here. 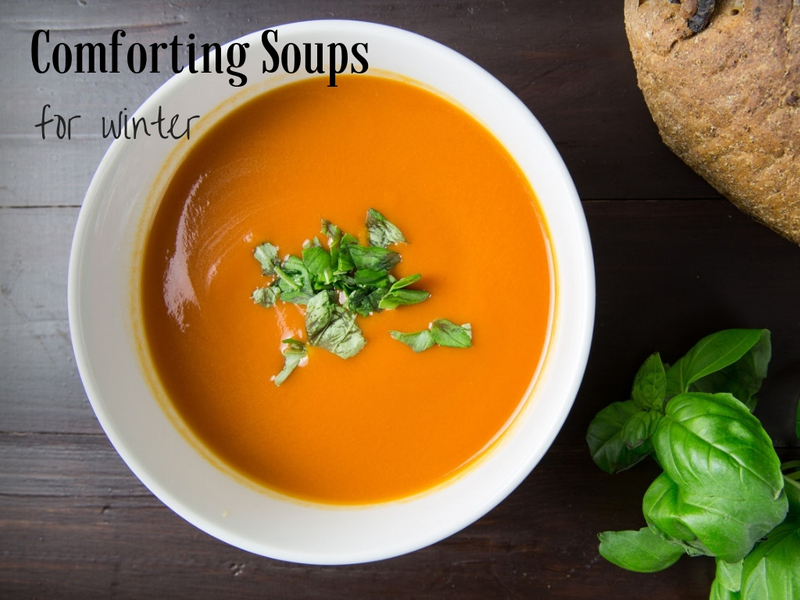 Is there anything better than a piping hot bowl of soup on a cold winter’s night? We’re sharing our favorite olive oils to pair with classic soups. 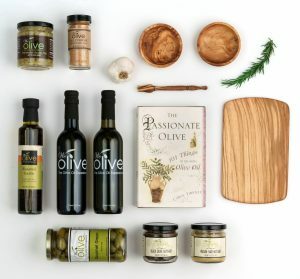 We’ve also included a few original recipes featuring your favorite We Olive olive oils! Whether you make it from scratch using our recipe for Tomato Bisque Fresh Basil Olive Oil or it comes out of the classic red and white can, there is a super easy way to dress up tomato soup. Drizzle with and add a swirl of pesto if you have it on hand. Delicious! 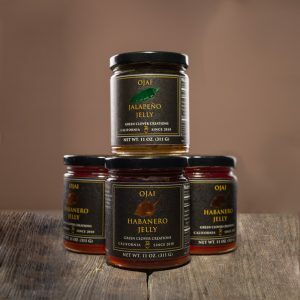 Take your favorite chili recipe and finish it with Jalapeno Olive Oil and you will not be disappointed! We’ve tried the fresh peppery oil on White Chicken Chili, classic Chili Con Carne and this Smoky Chipotle Chili with Cocoa and you cannot go wrong. The earthiness of lentils works nicely with the garlicky bite of our bestselling Fresh Garlic Olive Oil. Try it on lentil, bean and split pea soups for rich depth of flavor. This classic Italian soup is a natural match for a robust, grassy extra virgin olive oil. 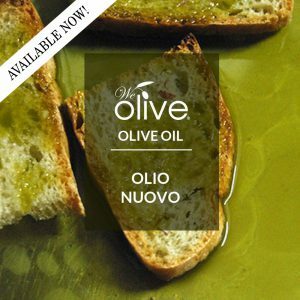 We love it with Olio Nuovo if it’s in season but it works beautifully with any of our full-flavored EVOO’s. Vegetable soups of all sorts benefit from the bright, citrusy kick of our Organic Meyer Lemon Olive Oil. Try it on asparagus, carrot, broccoli or cauliflower pureéd soups, as well as chunky vegetable soups and anything with greens! 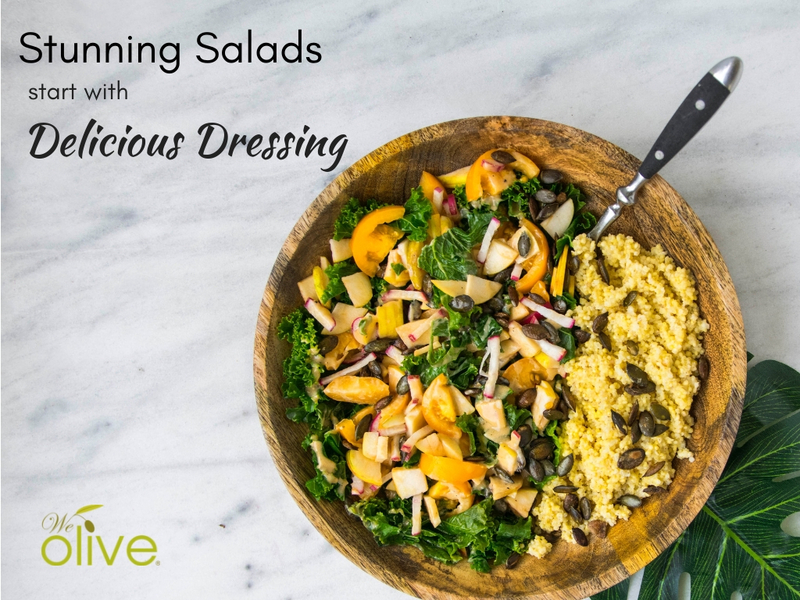 Stunning salads start with a delicious dressing. 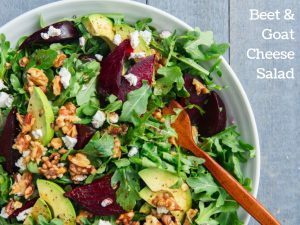 Check out our favorite salad recipes with tasty vinaigrettes! 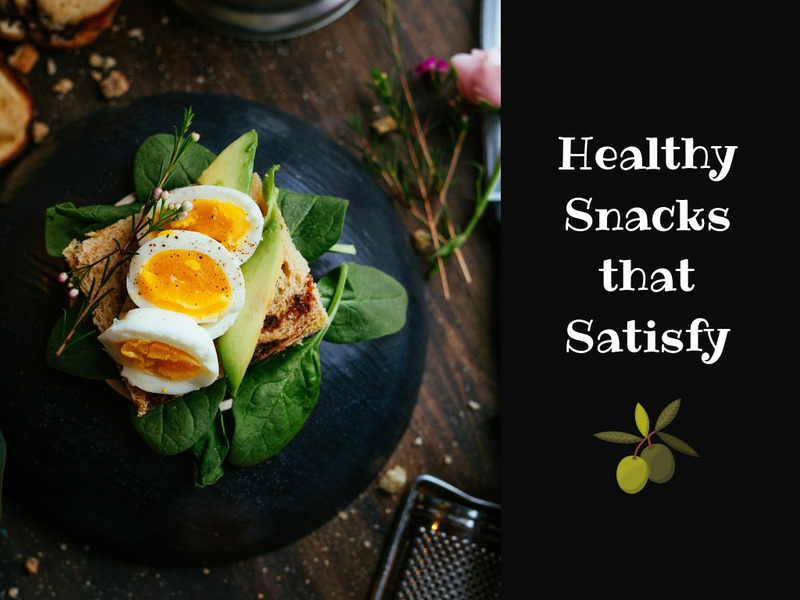 Having healthy, satisfying snacks on hand will help keep you from reaching for empty calories. Check out our favorite healthy and filling snacks and small meals here! During winter months, we like these toasts with sliced cherry tomatoes or roasted Roma tomatoes in place of heirlooms, which are best in summer months. This olive oil and herb popcorn tastes like a guilty pleasure, but is a heart-healthy, low-calorie whole grain snack! This heart-healthy granola is made with Blood Orange Olive Oil and maple syrup and is addictively sweet and salty. If you don’t have Blood Orange Olive Oil, a good-quality California Extra Virgin Olive Oil works well. Serve with plain Greek yogurt for a satisfying breakfast or snack. We love this makes this three-ingredient hummus recipe as an easy appetizer for entertaining or a healthy afternoon snack. This 130 calorie, no sugar added balsamic vinegar smoothie tastes like dessert but makes a great energy-boosting breakfast before a workout! This savory yogurt recipe is satisfying and delicious and only 150 calories to boot! The Aged Balsamic Vinegar adds a sweet counterpoint to tangy Greek yogurt and robust EVOO. This is our go-to snack when we need an energy boost for an evening workout. This healthy tuna salad is light on calories but loaded with protein and antioxidants. 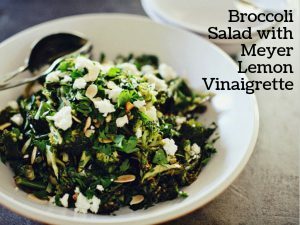 It’s delicious on crisp salad greens like Romaine lettuce or as a topper on whole grain crackers or crostini. We love it as a pre or post workout mini-meal that’ll give you an energy boost. These extra virgin deviled eggs are sophisticated and lightened up version of the classic. 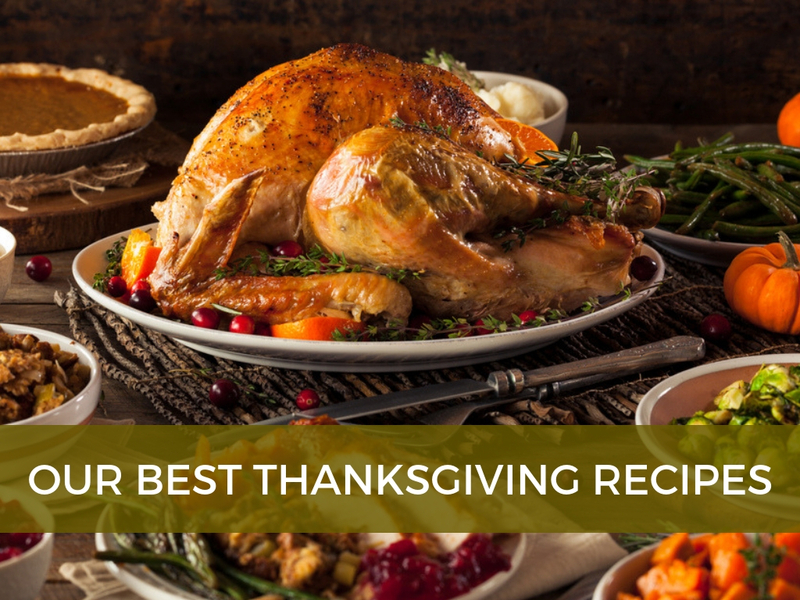 We’ve put together a list of our best Thanksgiving recipes featuring our bestselling products including our Aged Balsamic Vinegar and freshly milled Olio Nuovo Extra Virgin Olive Oil. Enjoy!